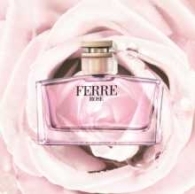 Gianfranco Ferre will launch Ferre Rose in April. The new fragrance was created by perfumers Alexandra Jouet and Francis Kurkdjian. The notes include watermelon, pomegranate, mandarin, peach, orange blossom, rose, gardenia, water hyacinth, freesia, cedar, sandalwood, vanilla and amber. ...describes the composition as a combination of sensual florals and creamy woods. The scent opens on notes of peach nectar sorbet, Sicilian mandarin and damask plum, leading to a heart of wisteria, star magnolia and Madagascar Orchid. The base combines sandalwood, musk and amber. Update: Elizabeth Arden Mediterranean is an Eau de Parfum, and is available in 50 and 100 ml and in Body Lotion & Body Shimmer. Green Tea Tropical opens on notes of lychee, Dominican passion fruit and dragon fruit, building to a heart of green tea, Marco Polo tea and Chinese magnolia. The base is a blend of musk, sea moss and tropical blackberries. Other recent releases from Elizabeth Arden: Green Tea Revitalize. I have a fever. That should explain why I think Mediterranean sounds so appealing. Well, I must say that these “tropical” inspired fragrances are made by people that just don't understand our weather. They're always too heavy, sweet and not at all refreshing. I usually don't like citrus, but in my mind a “tropical scent” will always be associated with that. It's not 'sensual' to use some overpowering perfume in a hot day here. (today I went to buy some perfume and have now a terrible headache: just because I'm young they only show me the ultra sweet fruity-florals). Ooh…the Green Tea Tropical sounds promising, more so for the fact that Mr. Roux did Black Cashmere by DKaran AND Happy by Clinique. Plus I LOVE lychee and blackberry notes in my scents. Any idea on a release date? Rodrigo Flores Roux is Mexican, and wanted to pay tribute to South American fruits, per Moodie Report, so I don't think you can fault him on that score, but you're right that they all end up too sweet. Haven't tried any of the Green Tea flankers so don't know what this one is likely to be like, though. It is an eclectic group of perfumes, isn't it? No idea on the release date, sorry. 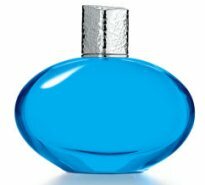 I really wanted to love “Mediterranean”–the bright blue bottle is so soothing and there is a pleasant velvety-sun radiance to the juice. In the end, however, it just ends up too sweet on me. I've been tempted to try it but I think it will end up another “Missoni” for me (enthralled for a couple of uses, only to retire it in nausea). Hmm–I could've SWORN I hated tropical/marine scents but this year I'm really reaching for them. It must be an aquired tase from all the new tropical/solar marine releases (even from the likes of the Creed house–the last place I'd imagine a tropical-accord released). I gave Mediterranean only a very quick spray on a test strip, and wasn't attracted. Haven't smelled on skin yet. Creed is definitely going for more trendy scents lately.